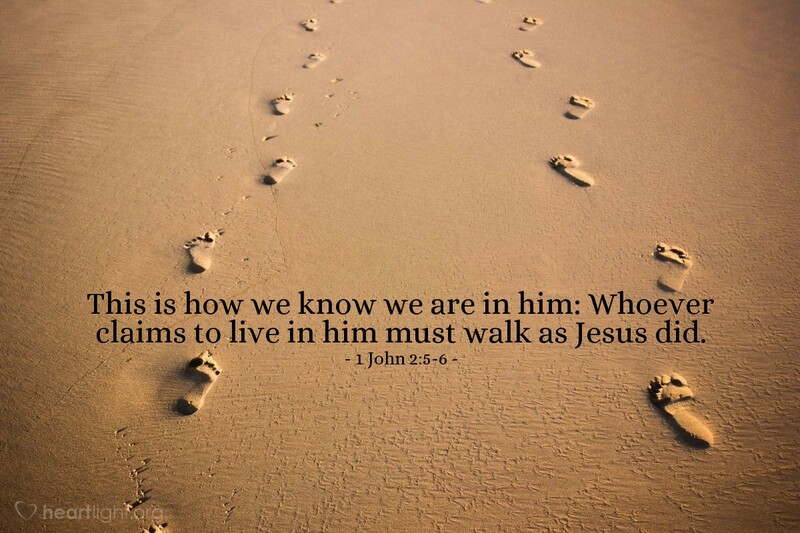 Do you want to know who walks with Jesus each day? Look for folks whose lives look like his! Do you want to walk with Jesus? Look at his life in the Gospels (Matthew, Mark, Luke, and John). See how he treated people; then do the same! Notice how he defeated Satan and overcame temptation. Trust that you can do the same! As you do these things, you will find that Jesus is not only walking with you, he is also working through you! Stir my spirit, O God, and empower me with your Spirit to live a life of integrity and purity like Jesus. Please give me a heart for people, dear Father, like your Son Jesus has. Help me to not only see their needs and hear their cries, but to also respond with love and compassion. In the name of my Savior Jesus, I pray. Amen.